Tamashii Nations has revealed two exclusive figures that they will offer at Tamashii Comic-Con 2018. The event takes place May 25 – 27th in Japan. Much like their world tour, expect numerous reveals for upcoming figures and collectibles. At the event, they will be offering two exclusive figures. The first is a S.H. 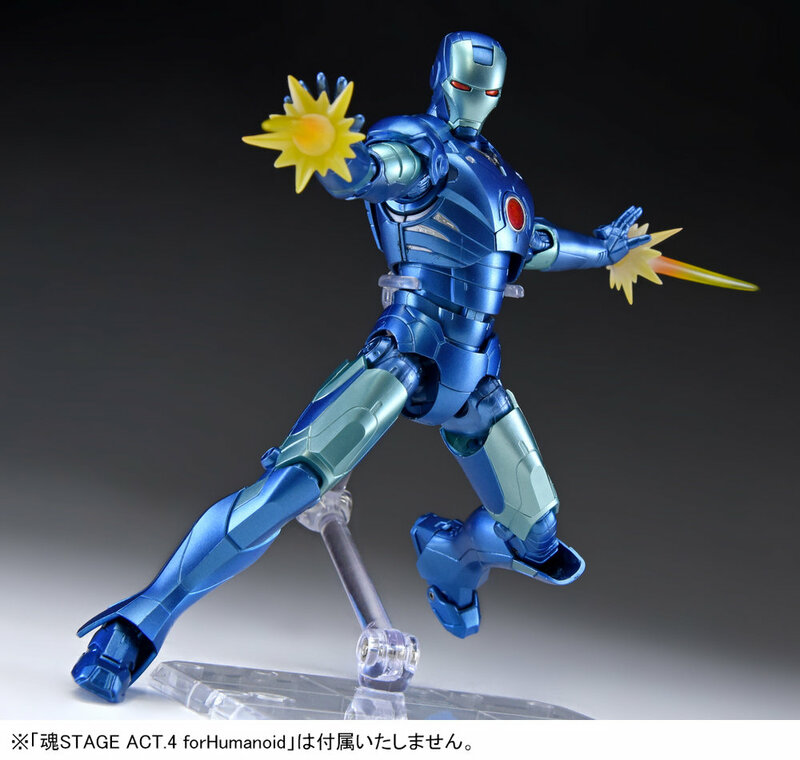 Figuarts Iron Man Mark 3 – Stealth Blue Version. The figure will include interchangeable hands and effects pieces. It will be priced at 6,000 Yen (about $57 USD). They are also offering a S.H. 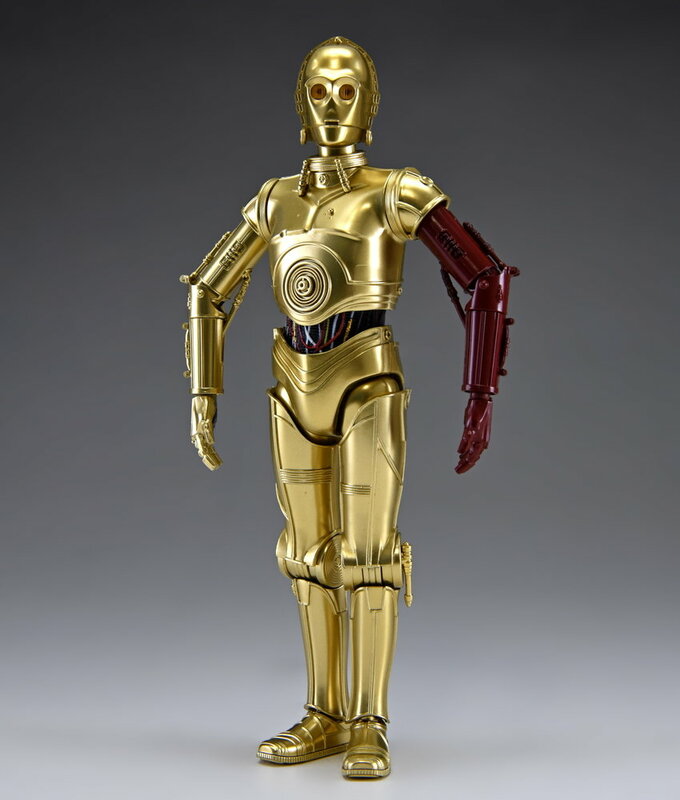 Figuarts C-3PO from Star Wars: The Force Awakens. The figure will include the red arm, as well as a metallic finish. It will be priced at 6,500 Yen (about $62 USD). There will be a limited number available each day of the event. After the event is over, a limited number of each figure will be made available as a Bandai Premium Web Exclusive. See the photos after the jump. That Iron Man reminds me of his underwater suit. I had a toy of that when the second movie came out, so I really wanna have that suit. Too bad it will be high impossible to get. That Iron Man is something I'd like just because it's cool rather than having any actual afinity for it. Is it even based on anything? When I first saw it the only thing I saw relative was the Hot Toys Mk 3 Stealth Version. Almost like they just ripped off their random deco. 3PO I'm ok with not having. It's not like he's done much at all in the new movies; I'll live without a red arm version. So how does one get these Bandai exclusives? Ohhhhhh...this is very nice. Back when I first saw the Hot Toys Mark III stealth variant, it immediately became my favorite variant. I find this blue combo very appealing. The problem is, I knew I wouldn't get it (I'm not in a position to start buying any Hot Toys figures)...and now I get a chance to get the next best thing? So awesome. Since we got a Street Fighter Figuarts line, how about one for Mortal Kombat? At least Sub-Zero and Scorpion. Why not just go for the Storm ones then? Did anyone here pick up the New Hope version (both gold arms / silver right leg)? Are you happy with it? Did you buy all of those hall of armors at $80 a piece? Unfortunately yes. I did however manage to find a seller from Japan who would do $60.00 plus shipping if I would buy multiple from him. So, that helped a little. You are a legend and a crazy person. Bless you. Fantastic Hall of Armor display. I am not worthy. Thanks guys, really appreciate it! All times are GMT -4. The time now is 4:49 AM.